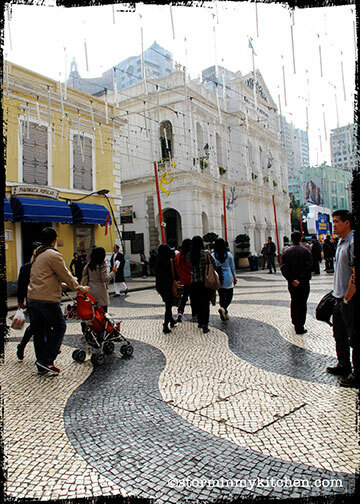 Famous for their hand-made noodles, we searched for it and found it at the left side, sitting opposite McDonald’s as you enter Senado Square. 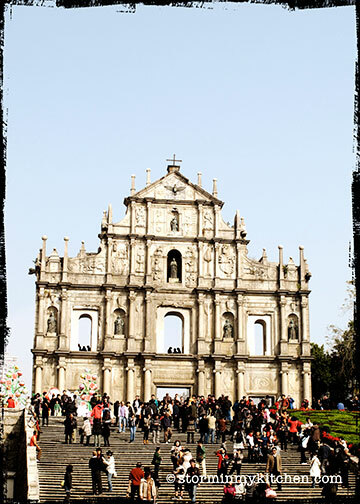 Many, my dad included, claim that they make the best Cantonese noodles in Macau. Dark wooden interior make up what seemed like a tiny noodle shop until you walk in and realize that it has a mezzanine and a 2nd floor. The menu was extensive but most of us went for the Wanton Noodle Soup while my brother decided to go for the one with Roasted Duck. The bowls arrives from a dumb-waiter with noodles and in our case, wanton sans the soup. The waiter adds into the bowl piping hot soup from a big pot before serving. That simple. 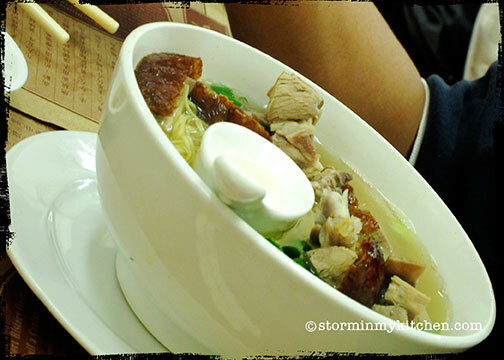 The soup and the wanton were excellent; the hero however is the noodle. 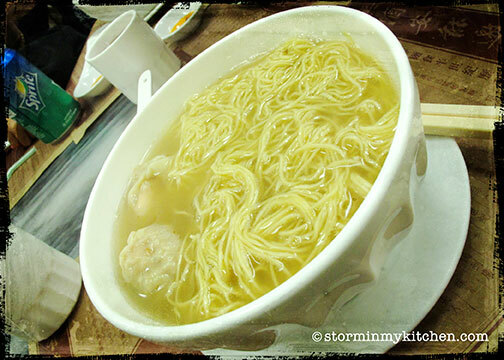 Cantonese noodles were (obviously) originally from Canton and became popular in the 1920s. 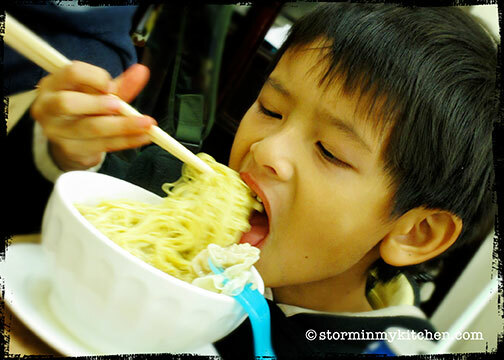 Traditional noodles were made by hand using a long bamboo stick, producing some very smooth, springy noodles that yield a good bite. Wong Chi Kei’s noodles deliver the same springy noodles as its founder started his business in Guangzhou and Dongguan before he moved his shop to Macau. This noodle shop has made customers happy with its noodles since 1946 and the family had a satisfying lunch of noodles after a good work-out walking to and from the Ruins of St. Paul’s with a bit of window shopping on the side. 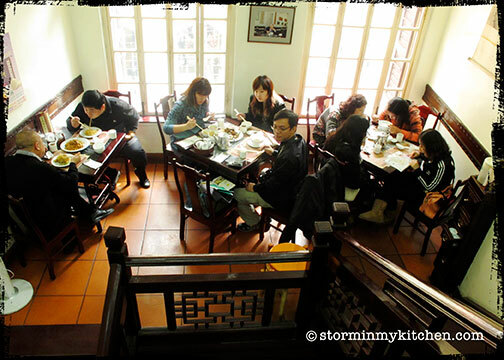 A simple noodle or congee dish was the best neutralizer to the scrumptious Macanese dinner we had the night before. You are currently browsing entries tagged with Noodles at Storm In My Kitchen.